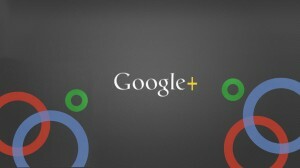 Is Google+ the most valuable social media service for SEO? Using social media as part of an effective SEO strategy has gained in popularity as more and more people take to the many social media services for regular communication. People can get instant reviews and recommendations for shopping, dining, auto repairs and even doctor’s offices through social media services. Users posting recommendations and links pointing back to your website through these services can greatly increase your rankings on search results pages. The social media service with perhaps the most value for search rankings is Google+. All pages, profiles and communities within Google+ have a PageRank value, which is a way of determining how much authority that page has. By associating your business with people and communities that have high PageRank, you can help boost your website to the top of search results pages. Any time someone posts a link to your site on a high ranking profile or community, they pass a portion of the high PageRank along to your site, which helps increase your authority. High authority means high search rankings. Associating with highly valued communities is crucial in building a quality ranking for your website. Who you meet and interact with on social media is very important in establishing authority for your business. Associating with people just for the sake of increasing your number of followers is not necessarily the best strategy. At MARION Integrated Marketing, we understand the important role social media plays in SEO. We deploy a variety of tactics to help ensure that your website’s authority grows. Our goal is to help your site reach the upper rankings of search and get the visibility you need. Do you need Search Engine Optimization for your site? Contact us today and get a quote! Damien is committed to furthering the practice of modern marketing. Recently named as the #6 most influential Houstonian in social media, Damien has a Twitter following of over 91,000. It is with this considerable influence and perceptive marketing talent that he serves as a marketing strategist at MARION.